In past posts, we’ve covered visitor profile research and shared stats about Raleigh area visitors’ current makeup (studied biennially by GRCVB); we’ve also covered the economic significance of producing visitor-friendly festivals/events here and how economic impacts can be calculated when event organizers work with GRCVB. 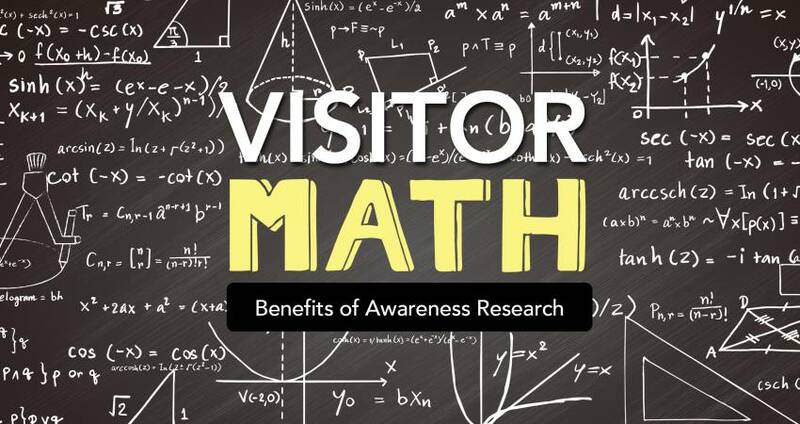 A third subject of CVB research is to study a place’s image in the minds of consumers and their tourism awareness of that place as a potential destination. From past personal experiences, news reports, fiction/TV/movies etc., potential visitors have images and perceptions of various places already in mind. Marketing theory also suggests that images can be created or shifted when consumers receive specific external messaging such as from CVB ads and promotions. The sum of their beliefs, ideas, images and impressions of a particular place is their image of that destination or destination image. Importantly, consumers’ awareness, image and opinions of a destination can be tested quantitatively, and while this seems basic (and is relatively inexpensive to do via newer, online survey tools), it is one of the often-overlooked steps in developing a new marketing plan or even multiyear business plan (for a single business or, in our case, a county). In GRCVB’s case, Raleigh/Wake County is the destination, which can’t be sampled/tested from anywhere at anytime like most consumer products brought to market. It’s even more important that we test potential visitors to target our outreach and shift their perceptions—to motivate travel as efficiently as possible. GRCVB regularly tests the Raleigh area’s image statewide and nationally to better understand the awareness of our visitor markets as well as prospects’ attitudes/opinions regarding marketing message points and destination brand elements. The position that Raleigh/Wake County should occupy in visitors’ and prospects’ minds was heavily researched in 2014-2015 when developing the current Raleigh, N.C., Destination Brand Strategy. Aside from macro/countywide brand implications, however, image and opinion research also can help GRCVB and its partners watch for any new sources of visitor negativity or constructive consumer feedback and monitor responses over time with regard to ongoing issues. An example of an issue that could have greatly impacted visitors’ perceptions of Raleigh (but did not, according to testing) was the recently completed Fortify I-40/440 Rebuild Project. Great news is that our 2018 statewide testing of public opinion showed that destination brand elements and the brand promise articulated in 2015 are still resonating with consumers and potential visitors to the area. Also, Raleigh/Wake County continues to enjoy an incredibly positive destination image (less than two percent of North Carolinians held a negative image of us in 2018)!